Mondays 11:30-12:30 classes run for 6 week cycles. 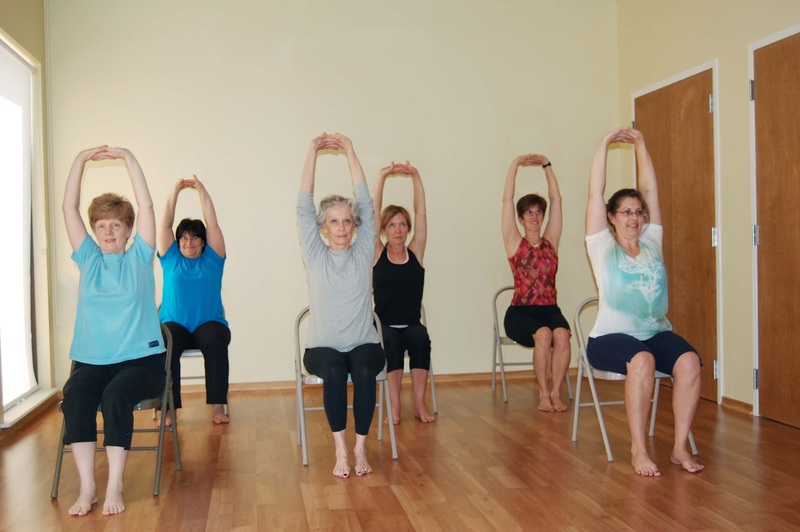 Gentle chair yoga class, enhance your strength, improve your balance and sharpen your focus in this fun, challenging and safe class. private and small group classes are available in your home or office. A series of classes are offered in 6 week cycles. Chair Yoga classes run for 4 week cycles. I am a beginner and have no idea what class I should take. I work Sunday-Wednesday and live in Baldwin. I can be reached st 516-448-1655. Thank you. Hi Joan, how are you? My sincerest apologies for not responding sooner. I didnt see the message until today! Regarding my classes, the chair yoga is a great class to start with- not too much standing but with an emphasis on basic postures, alignment and body awareness. The Monday evening class is a basic Hatha Yoga mat class. All levels are welcome especially newbies! We use props like blocks and straps to make coming into and getting out of poses more accessible. The Monday September series at the Baldwin Library begins September 12th. On Fridays, the classes I offer are gentle-they are mat classes, with a focus on deep stretch in the Yin Class , and deep relaxation with stretch in the Restorative Class. Please call or text me 516 244 0868 with any questions.